Kick-off your Saturday night NASCAR party on a high-note with 20 RIDE! 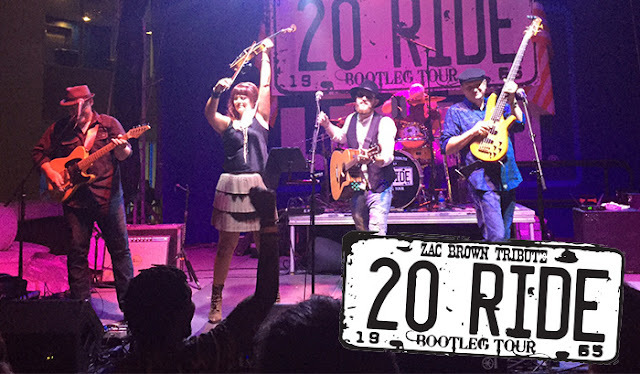 Making their first appearance at RIR, 20 RIDE will get the show started on the Pre-Race stage prior to the Federated Auto Parts 400 on Saturday, September 12th at 5:50 p.m.
From southern rock, to Caribbean rhythm and sultry bedroom ballads, 20 RIDE talents offer something for everyone, and these good ol' boys from upstate Carolina definitely know how to entertain. We can't wait to see these guys hit the stage and get the fans ready before their favorite drivers walk across the Pre-Race stage. We were glad to have NASCAR Sprint Cup driver Kasey Kahne visit Richmond today, helping get the word out about Fan Appreciation Weekend and lending out a helping hand in our community. The No. 5 Hendrick driver spent the early afternoon helping out at a Habitat for Humanity site over in Newtowne, hammering and sawing away at a new shed for the property. Afterwards Kasey took his handyman talents track side, and with the help of some fans put the finishing touches on the "Fan Appreciation Restart Zone" at RIR. The new-look track wall will be just one of the many things fans can expect to see this September for our inaugural Fan Appreciation Weekend. Even after a day's worth of hard work, Kahne took the time to answer some fan questions with RIR President Dennis Bickmeier on the track. You can check out the it out here below. Even Mother Nature was no match for Kevin Harvick, who raced his way to his second win on the season in the rain-delayed Bass Pro Shops NRA Night Race at Bristol. 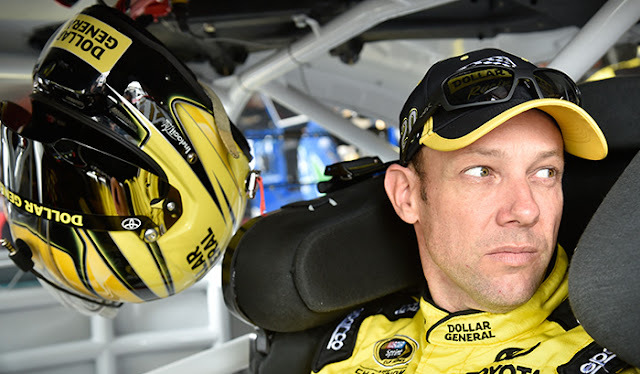 "We should have won a lot of races this year, but things did not go our way," Harvick said. 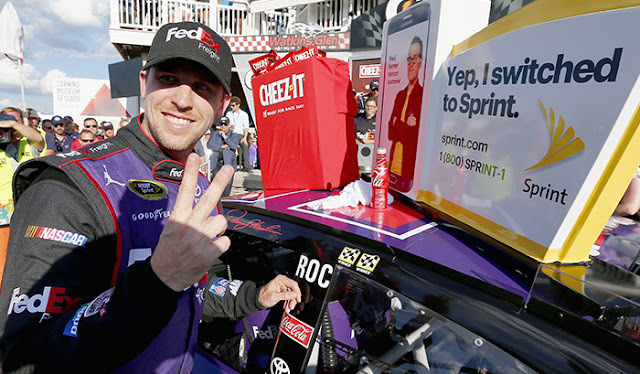 "We made mistakes or whatever the case may be, (so) to get back into Victory Lane feels good." Apparently it was good enough to share too. After the race, Harvick encouraged fellow driver and team owner Tony Stewart to celebrate Stewart's final race at Bristol. The result? A synchronized burnout to remember. "I really wanted him to ride around that track with me, but that's why he's the boss," said Harvick. 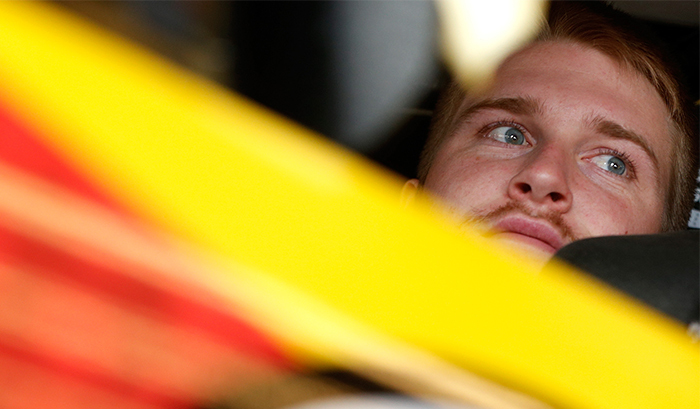 After shocking the NASCAR world with a win at Pocono two weeks ago, Chris Buescher continued his meteoric rise into the Chase conversation with a fifth place showing at Bristol. "We're out here to get a championship and to get wins, " Buescher said. "We come to these next handful of races with a great opportunity to make the Chase." 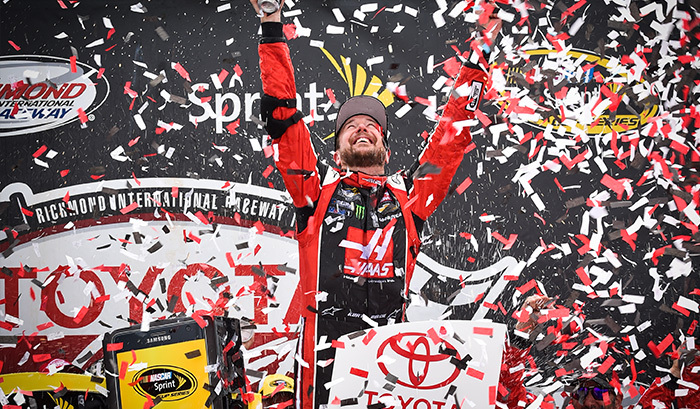 The finish put him inside the top-30 in points, and should he protect that standing through Michigan, Darlington and Richmond - we'll see this rookie standing among the field of 16 following the Federated Auto Parts 400 checkered flag. There's something to be said for stability, and that's exactly what JR Motorsports and XFINITY Series driver Elliott Sadler established Wednesday. 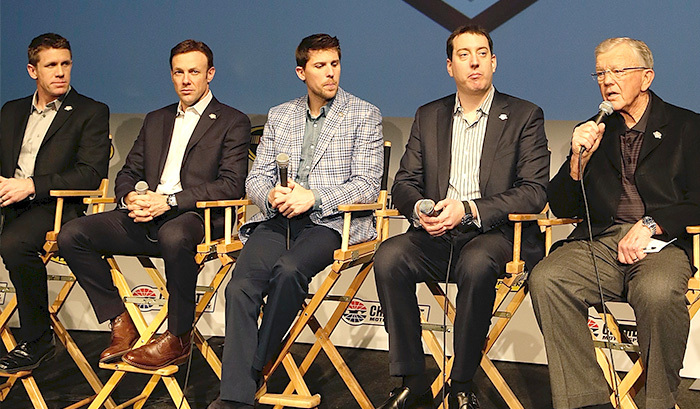 Longtime sponsor One Main financial inked a multi-year deal to return with Sadler and the team owned by Dale Earnhardt Jr. and Kelley Earnhardt Miller. 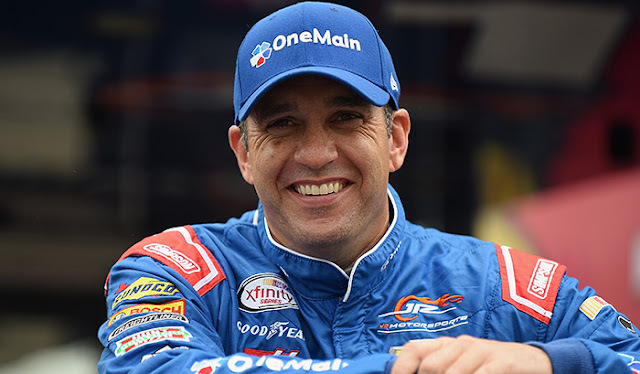 "We are thrilled to continue our partnership with Elliott Sadler and JR Motorsports," said OneMain Executive Vice President and Chief Operating Officer Bob Hurzeler. "Elliott has been an outstanding ambassador for OneMain and we look forward to our continued success with Elliott and JRM, on and off the track." The Emporia, VA native currently sits atop the XFINITY Series points standings, 51 points ahead of second place Daniel Suarez. Jeff Gordon is out, Alex Bowman is in. 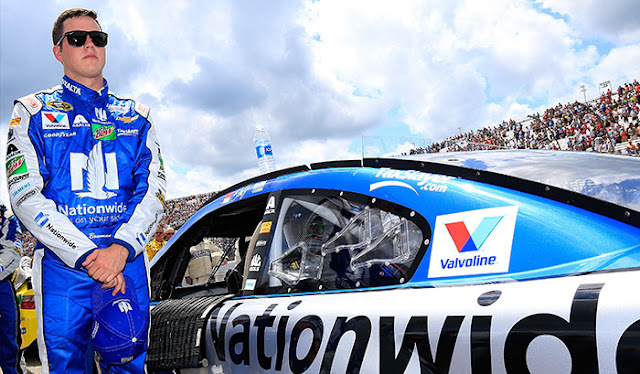 With Dale Earnhardt Jr. still working his way back onto the track, Alex Bowman will fill in behind the wheel of the No. 88 this weekend in Michigan. 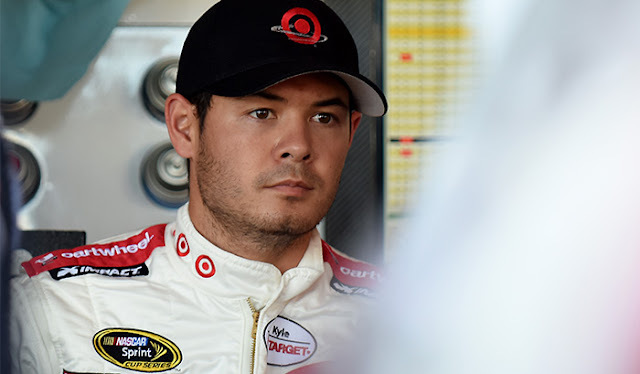 Gordon has filled in for the past four races, while Bowman subbed for Junior at New Hampshire Motor Speedway earlier this season. If the season ended today, Austin Dillon, Chase Elliott, Jamie McMurray and Ryan Newman would be in, leaving the likes of Trevor Bayne and Kyle Larson on the outside. 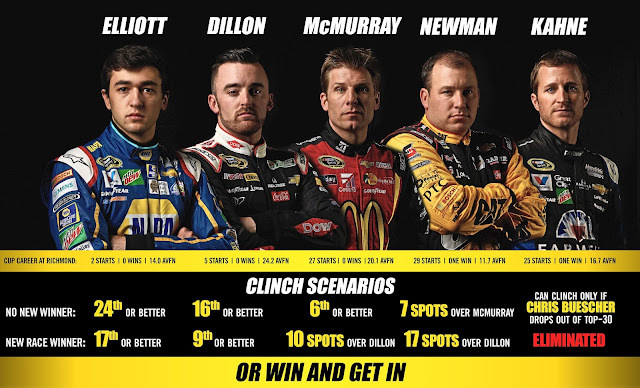 But with three races left, there's a chance someone could win their way into the Chase. Guess you'll just have to be there to find out. Whether we’re on your track bucket list, or you’ve been coming here for twenty years, it’s always fun to see the track from a different perspective. Below are a few shots taken from different grandstands, sections, and rows around the track. We’re lucky that you can see pretty much the entire race from anywhere around our ¾ mile D-shaped oval – although we typically recommend above row 10 for the very best view. Starting off in turn 3, the Old Dominion and Colonial sections provide a great view of the backstretch and turns 3 and 4. If you want the best view to watch the cars come off the only straightaway on the track, then this is the area for you. (Plus, the entrance to pit road!) Head in through Gate 70 off the midway for the closest route to your seats. Sprint, Commonwealth, and the Commonwealth Tower all provide an excellent view of the frontstretch, pit road, and start/finish line. These sections are easily accessible through the fronstretch gate or Gate 40, and are the closest to the free parking in Lot D.
Continuing our route clock-wise around the track, the Veranda, Dogwood, and Dogwood Tower grandstands run from the pit road exit to turn 2. Get a perfect view of the race off pit road and turns 1 and 2, where the cars are going the fastest after hauling down the frontstretch. These seats are closest to the Lot F RV lot and tram drop-off from Lots H and J – right through Gate 50 or Gate 40. An insider tip: you can see the whole track from even the lowest rows, as these sections sit up a little higher than the others (roughly ten rows or so).